Make these! The new Fireside Wristlets are so cute and and quick to knit. This free pattern can be knit on straight needles and with a quick seam they’re ready to wear. Choose your two favorite colors of soft and washable Wooly Worsted yarn and get started. 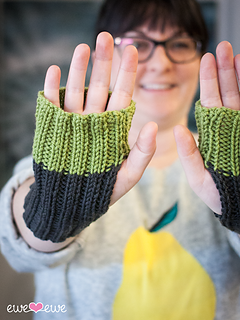 The Fireside Wristlets are great for beginning knitters who just know how to knit and purl. Give them a try!